There are a few ways to add members to your group! Have them apply/sign up to join your group with a registration form. You have 2 locations where you can add members to your group. If you only have the email addresses for your members, we recommend the List of Emails option. You can customize the text as needed. Or you can silently add your members and notify them later. Once you've decided, click Done. Your members will be added to the group. Define the member fields - In an excel sheet this represents the column headings. 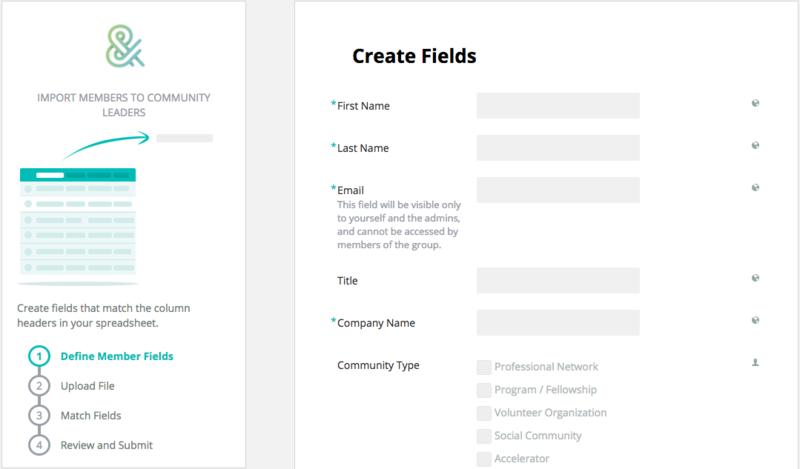 Think about how you would like to categorize the member information. 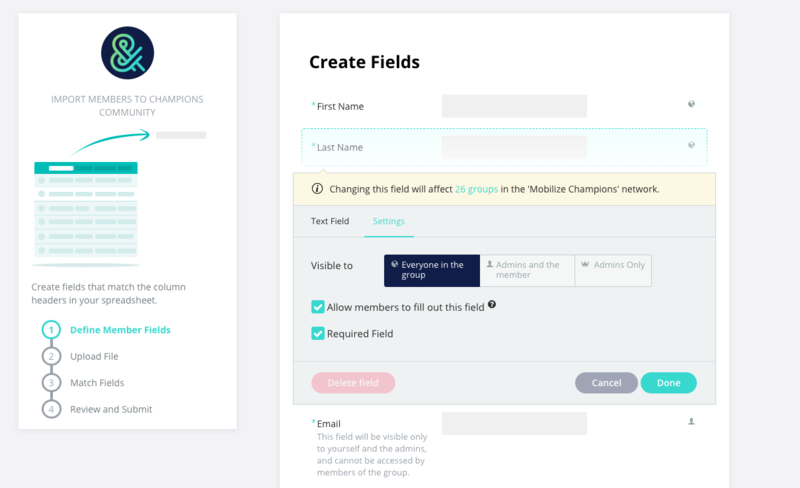 You can use these fields to filter your member search later on. Upload File - You can upload either a CSV or Excel file. Match fields - Once you upload your file the su=ystem will automatically recognize the names of the columns. Make sure each column matches the fields. Review and Submit - Once all the information is ready simply click submit and your members will be uploaded to the platform. Note: The platform will check any broken links or missing info and will give you a report so that you can go back and fix the information directly in your excel and re-upload the sheet. 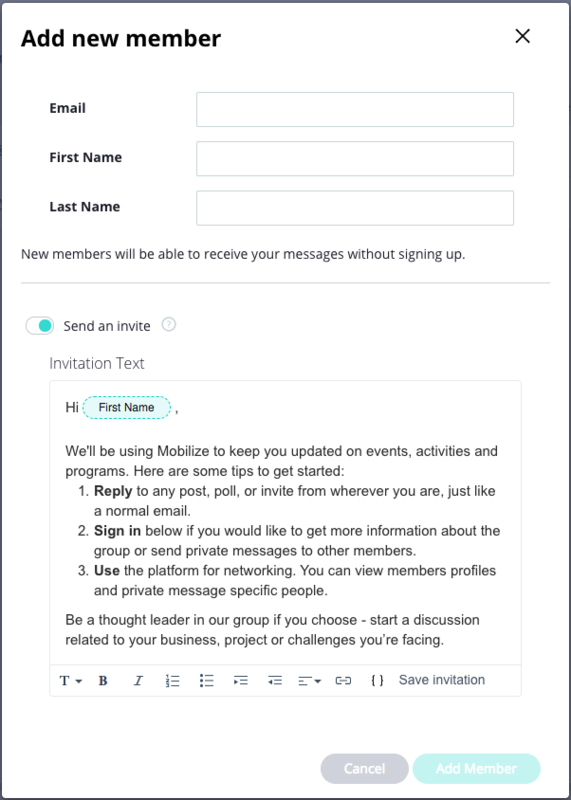 Additionally, if you are uploading a list that contains existing members, their information in Mobilize with be overwritten with information from the spreadsheet. 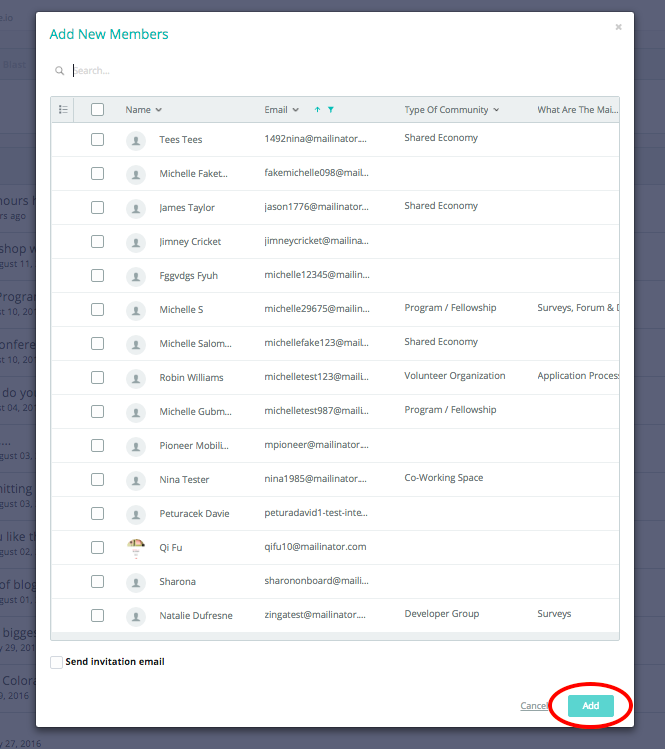 Here you also have the option to add an invitation email that will be sent to the email address list you added. Click From Other Groups. Select the members are use the filters to choose the member(s) you want to add. 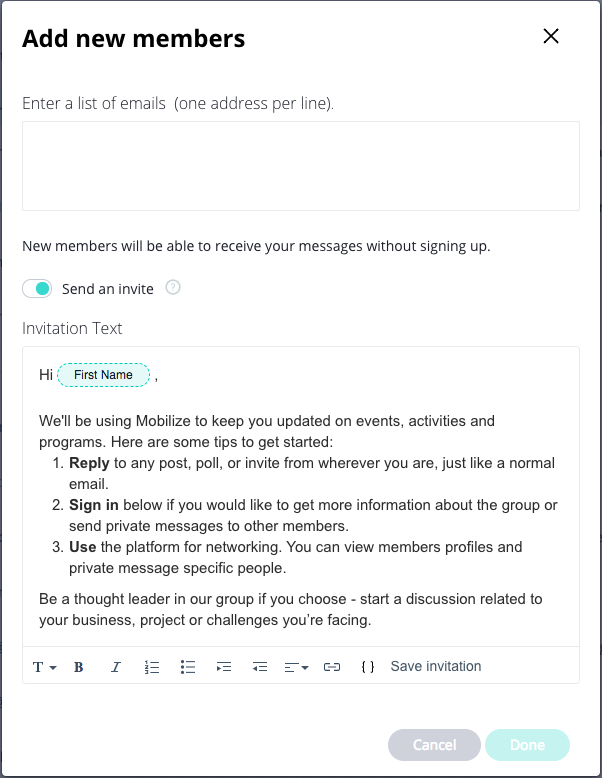 You can also have invite members to sign up to your group by sharing your registration form with them.